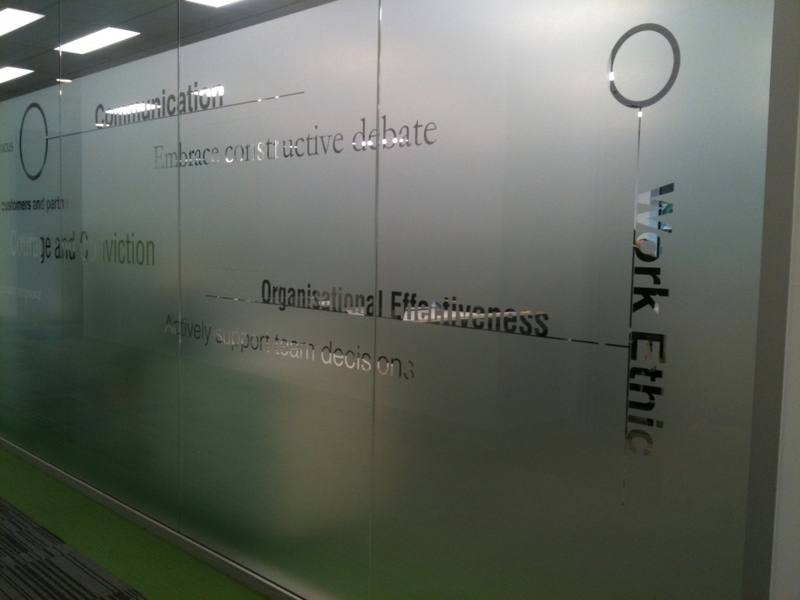 Get a 3M DiNoc Quote Today! Call 1300 668 180 now! Finally...an architectural finish that goes on in DAYS...not weeks. 3M Di-Noc™ is a brand new range of architectural finishes available in a stunning array of patterns and textures. From wood, metal, marble and stucco to leather, stone and many more. Inspired by design, this formable, flexible and light-weight finish will easily revitalize the appearance of old, worn or damaged interior and exterior finishes. Commercial, institutional and residential settings alike can realize the benefits and cost savings associated with Di-Noc's ease of use and its ability to adhere to a wide variety of surfaces. Designers and architects can take comfort in DI-NOC's versatility and over 500 available finishes. Property and business owners can appreciate reduced costs with minimal down-time and a clean installation. Q: What is Di-Noc™ ? A: Di-Noc™ is a self adhesive flexible laminate film which is ideal for resurfacing and refurbishing hard, smooth surfaces. The product installs quickly and produces maximum results when transforming existing surfaces. It can be used to cover reception areas, doors, elevators, hallways, etc. DI-NOC's ability to mould around complex shapes means it can be used for curved and rounded profiles. 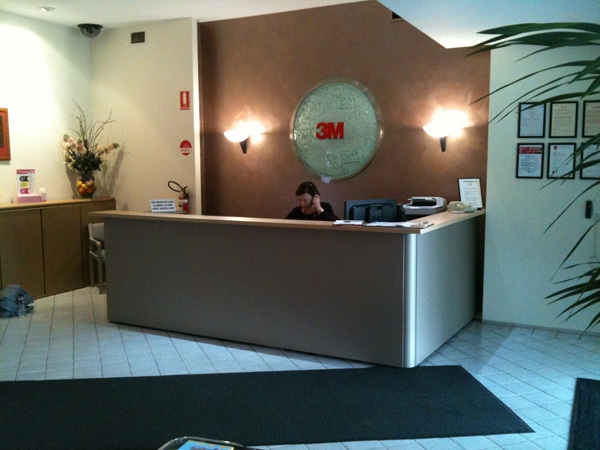 Q: What are the advantages of using 3M Di-Noc™ over veneer finishes? Di-Noc™ gives you more options - it offers unlimited creative flexibility and architectural freedom. Di-Noc™ is quick to install – reduced labour costs. Di-Noc™ preserves your existing substrates – no replacement costs. Di-Noc™ is good for your environmental policy -fittings and fixtures don't end up in landfill sites and you don't incur disposal costs. Installation is clean and quick...minimal downtime means your facilities are back up and running quickly. Q: What is the history behind the Di-Noc™ Product? A: Di-Noc™ has been used in Asian markets for over 20 years to decorate 5 star hotels, major department stores in shopping complexes, offices, condos and restaurants. Its popularity is due to a number of factors including the range of colours, textures, patterns and its conformability. Q: What are the Di-Noc™ product ranges? A: Di-Noc™ has 21 category product ranges including: wood grains, fine woods, metallic finishes, solid colours, carbon fibre, marble, leathers, sandstone and many more exciting finishes. Q: Why should an Interior Designer use Di-Noc™ Product? A: Di-Noc™ offers a cost effective and creative solution to many decoration, refurbishment and resurfacing projects. It has successfully been used in many market segments including retail, commercial, marine, hospitals, hotels and condominiums. Q: What is the durability of Di-Noc™ Product? A: Di-Noc™ is resistant to abrasion, staining, chemicals and complies with flammability standards for buildings. In addition, the solid colour series has an antibacterial property making it an ideal choice for health care facilities, dental offices, hospitals and public schools. Application Surfaces: aluminium, steel, varnished metal bases, plastics, laminates, walls, plasterboard, civil plaster etc. Application Temperature: 16 to 28 degrees Celcius * wet applications are not needed nor recomended due to Comply TM Adhesive. Thickness: 215 +/- 10 Microns. Innovation: Comply TM technology for quick and easy application. The air between the film and surface is released via air channels. Anti-Bacterial protection built into the PS Single Colour Family. Flame Resistance: CAN/ULC-S102.2, ASTM E162, ASTM E662 Class A levels as defined in NFPA 101 "Life Safety Code" Test Method: ASTM E84. Abrasion Resistance: product applied to aluinium plate and exposed to 7000 cycles using a Taber Abrader with a 1 kg load. Test Result: no change to pattern. Heat Resistance: product applied to aluminium plate and subjected to a temperature of 65 degrees Celcius for 28 days. Test Result: minimal change to film adhesion and appearance. Humidity Resistance: product applied to aluminium plate and subjected to a temperature of 40 degrees Celcius at a relative humidity of 90% for 28 days. Test Result: minimal change to film adhesion and appearance. Maintenance and Cleaning: easily cleaned with standard detergents.